These are the days that have haunted me for the last four hundred and ninety five days. They have stolen peace and sleep, leaving a tremendous heaviness on my heart in their wake. I have hesitated to share too much and yet I have also grieved the thought of not telling enough. So much of me wants to forget that these days ever happened and another part of me wants to document them in excruciating detail. This is the part of my story that is the hardest to write and the part that I so desperately want to capture as accurately as possible in an effort to convey the intensity and depth they deserve. And yet I simultaneously have avoided this part for a very long time because revisiting these days is such a monumental and gut-wrenching task that requires me to pull the heaviest feelings, thoughts and memories from the place inside that I have attempted to bury them. But it’s the part of my story that propels me the most to help others and the part that has given me a beautiful future purpose. Despite all of the trials and challenges that came before it, these are the days that took whatever strength I had left and wrung me out like a wet towel. God allowed this to drain me of my very last drop of strength so that the only way I could go on was by His strength alone. I continue writing for two reasons: to give God the glory for His undeserved mercies and because I don’t ever want God’s greatest deliverance for my family to fade with time. Because God’s past provisions and faithfulness will only serve to strengthen me, and others, in the future. I also want to lay our story out like Ebenezer stones along a trail for my son. I want him to intimately know how far the Lord has brought us when he traces his little fingers over the scar that bisects my belly, the scar that silently tells the depth of our struggle to survive. It was five days after our son’s birth and we were leaving the house to taken him to his first pediatrician appointment. I was feeling great even though I just had a c-section days before. I had already lost twenty pounds since delivery which meant I was ten pounds below my pre-pregnancy weight already! I never expected the weight to fall off so fast! I was rocking my new mom glow of utter elation and incredible sleep deprivation but loving every minute of it! And on this particular day, my hair was semi-done and I was dressed! Win! We buckled our little miracle in his car seat and made our way to the car. I remember it vividly. It’s one of those reels of time that is etched in my mind so deeply. I could tell you what I was wearing down to the gold and turquoise beaded necklace that draped across my chest. I can replay it all. I swung the diaper bag over my shoulder and then carefully lifted my leg over the baby gate that kept our dog in the kitchen when we weren’t at home. I immediately felt a pop in my lower abdomen. That single popping sensation would be something I spent a lot of time thinking about over the weeks and months after that day. But it's one of those things that you don't realize is a big deal until it is in hind sight. I never had a c-section, let alone any surgery for that matter, so I didn’t think anything of it. 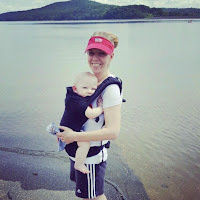 I knew my body was working its way back to its pre-pregnancy shape and that my organs were settling into their normal positions again now that a baby was no longer pushing them up into my diaphragm. We went about our day as happy and exhausted new parents do. The following day, I felt different. I resigned that I likely overdid it the previous day and would feel better after a nap but I felt even worse when I woke up. By this time my stomach hurt and I just didn’t feel right. After a few hours of this, I decided to call my doctor. Because it was a Saturday, Dr. Fields wasn’t available but her colleague, Dr. Benson* was on call that weekend. After hearing my symptoms, she felt confident that the stomach pain I was experiencing in my lower abdomen was a common postpartum complaint: the uterus was working hard to contract to its original size and breastfeeding was speeding up the process which was causing my pain. She also recommended a laxative and stool softener because sometimes surgery slows digestion and this could be causing some of my abdominal discomfort as well. I took her advice and the baby and I hunkered down in our bedroom for the rest of the night while my husband cooked one of the freezer meal lasagnas I had made during my nesting frenzy two weeks before. When he brought dinner upstairs, I took two or three bites and that was it. I don’t remember exactly what I said to him but I tried explaining that I just didn’t feel well. I couldn’t eat. My stomach was hurting more now and even laying down was uncomfortable. 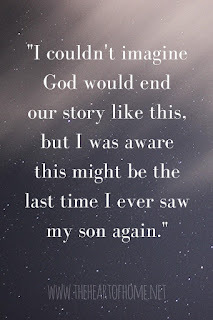 Around midnight, I tearfully woke my husband up and handed over our newborn son because I was in so much pain that I couldn’t physically care for him anymore. That alone should have been a much bigger red flag that it was. He dutifully fed our newborn in his nursery throughout the night while I sobbed in pain on my bathroom floor, praying to God for relief! Maybe it’s stubbornness, stupidity or the fear of being an unnecessary burden to someone but I didn’t call my doctor again until 7am the next morning. I didn’t call her because I didn’t want to wake her up for nothing. I was convinced it was horrible gas or constipation from the c-section and I just had to get through it alone. Little did I know, I was slowly dying on my bathroom floor with my husband and son in the next room. I watched the clock and didn't call one minute before 7am. When I finally spoke to Dr. Benson on Sunday morning, she said I could go to the emergency room but that they would likely administer an enema that I could perform myself at home more comfortably. My next call was to my mom and I asked her to come to my house because something was wrong and we needed help with the baby. I expected her to say that she would come after church but my voice instinctively told her to come immediately. I learned later that when she relayed the conversation to my dad, she said “Casey never asks for help. If she’s asking, we need to go now because it’s bad.” And it was bad. Really bad. When I tried to get up out of bed. I couldn’t. I physically couldn’t pull myself up into a sitting position or move my legs to get out of bed. In another moment that I thought was straight out of the “When I’m 80 years old” playbook, my husband dressed me and carried me out of our bedroom and even that was excruciatingly painful. As we neared the top of the stairs, I looked into my son’s nursery and there my mom sat in my nursery chair, gently rocking my newborn in her arms. I knew we needed to go but I paused at the top of the stairs and I asked her to bring him to me. 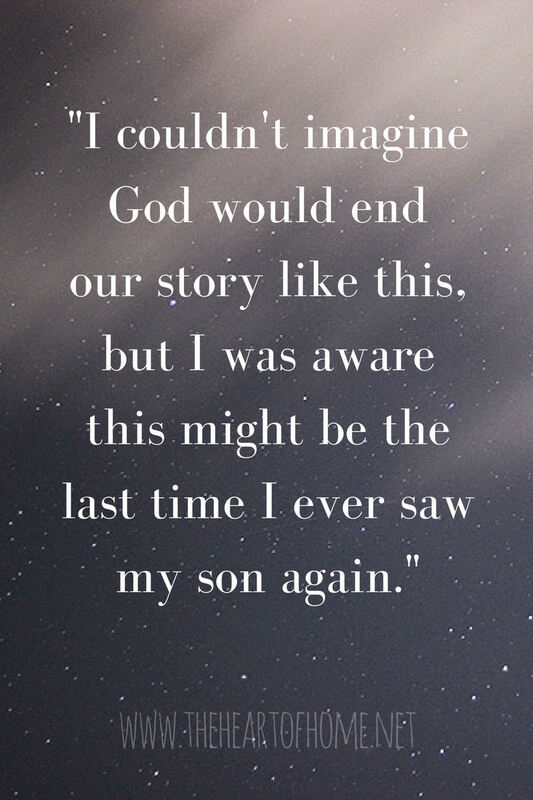 I couldn’t imagine God would end our story like this, but I was aware this might be the last time I ever saw my son again. In that brief moment, my thoughts raced through one million and one scenarios and I didn’t want any of them beginning with me not kissing my son goodbye. I was too weak to hold him, so my mom just held him up for me to kiss his sweet, sleeping face while I hung on to my husband for support. I just couldn’t fathom why God would allow me to welcome him into the world with a tearful kiss just seven days ago and now I might be saying goodbye for good with another tearful kiss. I was starting to get emotional and told my mom “that’s enough” but I lied. It wasn’t enough. It wasn’t even close to enough. How on earth could it ever be enough when it’s possibly the last time? Despite all of the physical pain I was enduring, this was the moment I broke into a billion pieces. As my husband helped me down the stairs, my mom and sister asked why he wasn’t calling an ambulance. “I can get her there faster”, he said. I weakly hung on to his neck as he carried me on his back to the car. I don’t even remember the drive. It was a blur and then we were at the entrance of the emergency room. My husband opened the passenger side door and asked me if I could get out and I shook my head no. The next thing I knew, I was in a wheelchair being rushed into the ER. During check in, I told the receptionist I had excruciating abdominal pain and had just given birth last week. We were only in the waiting area for a few minutes but it was long enough for me to see what was on the TV. There she was, giving a hostile testimony about Benghazi in those dreadful glasses before Congress. I remember thinking to myself “I should pay attention to this; I want to know how this ends” but then I was being whisked into triage. It briefly occurred to me that I may not live long enough to see how it ended. It's strange what I can recall in such great detail. Once I was in triage, the nurse began taking my vitals and that was when I heard “are you normally this pale?” for the first of what felt like hundreds of times that day. My husband answered “Yes, she’s pale but I’ve never seen her this pale before.” I couldn’t even answer their questions coherently after a minute or so and once they saw my blood pressure, they knew why. Once in the Trauma Unit, the events that took place were just like what you would imagine on a TV emergency medical drama. The room was packed! Doctors and nurses were buzzing all around me, asking me questions that I just couldn’t answer fast enough. That’s when I saw my husband standing at my feet and it was like my vision tunneled to him and we were in slow motion while the periphery continued to race by us at warp speed. He was scared! I’ve never seen that look on his face before and then I heard the nurses saying “she’s got a lot of fluid in her abdomen. She’s bleeding internally.” I looked at him and the pieces of my broken heart ached even more. I worried that he would be mad at me for bringing our son into the world and then leaving him to raise him alone. New to The Heart of Home? Click here to catch up! Casey Cattell struggled with infertility for more than a decade before giving birth to her son, Nathan, in 2015. 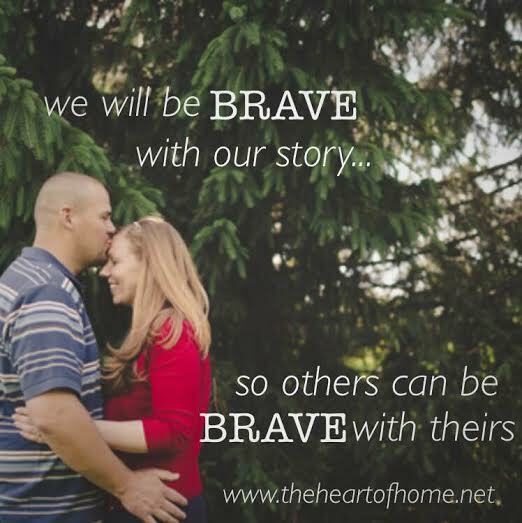 She is a two time Maternal Near Miss Survivor writing to give hope to women in the midst of hardships that challenge their faith. She also enjoys sharing her latest creative exploits. Casey and her husband live in the Northeast, USA and in their downtime like to explore new places and hike with their young son. If you liked this post or were encouraged by it, please consider passing it on. Find Casey on Instagram and Twitter. Girl! It is amazing how much I can relate to this. A full year and I’ve never been able to even semi relate! I am so so sorry you experienced this, but isn’t it amazing to see Gods grace at the end?